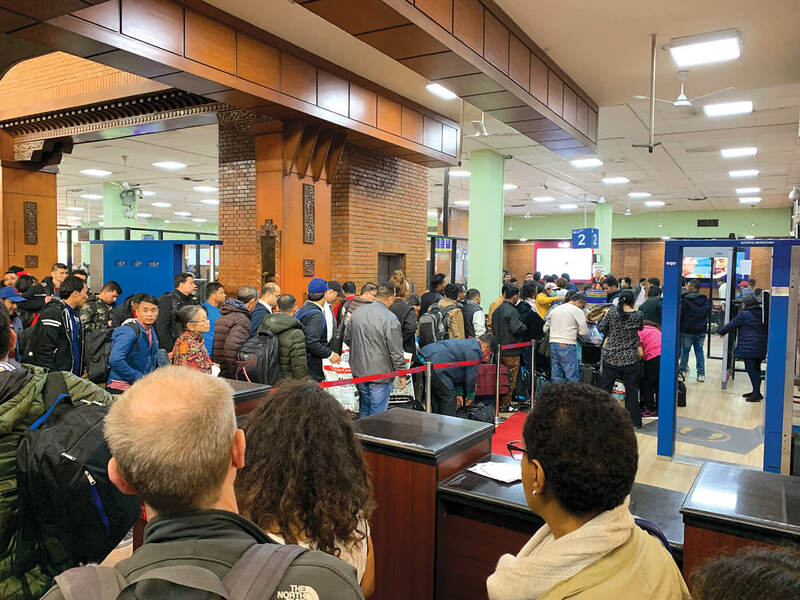 In a country ruled by a Communist Party, one would expect that its egalitarian philosophy would prompt the people in power to remove the VIP arrival and departure gates at Nepal’s only international airport. It would be a symbol and a message to the whole world that Nepal is moving towards a classless society, and that all forms of feudalism have come to an end thanks to our glorious revolution. 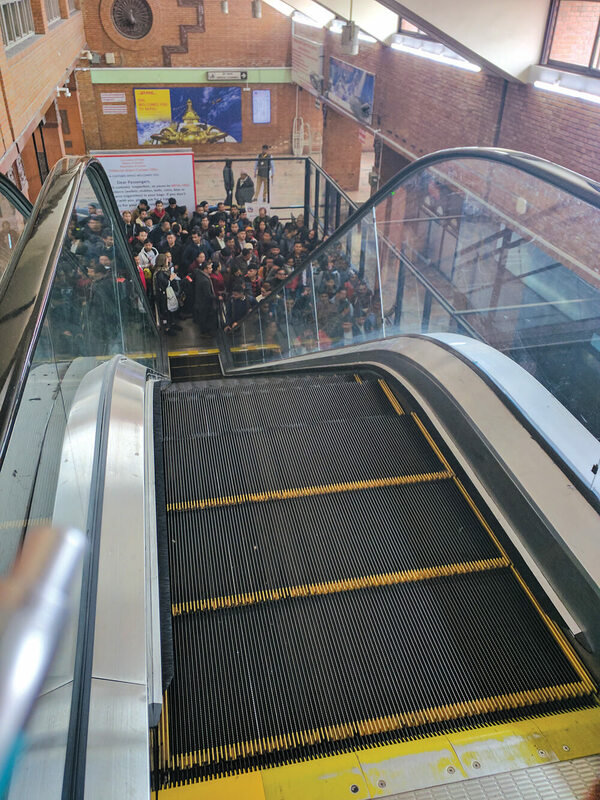 If the rulers of this country were to make an example of themselves and use the same facilities as the people, they would go through the same terrible experience that passengers have to endure on a daily basis. After that, perhaps things would improve for everyone. But don’t bet on it, we live in a real-life Animal Farm. Airports around the world may look different, but they all have the same basic function. Kathmandu’s terminal building with its brick façade is actually unique because it is not an anonymous glass and steel sculpture. 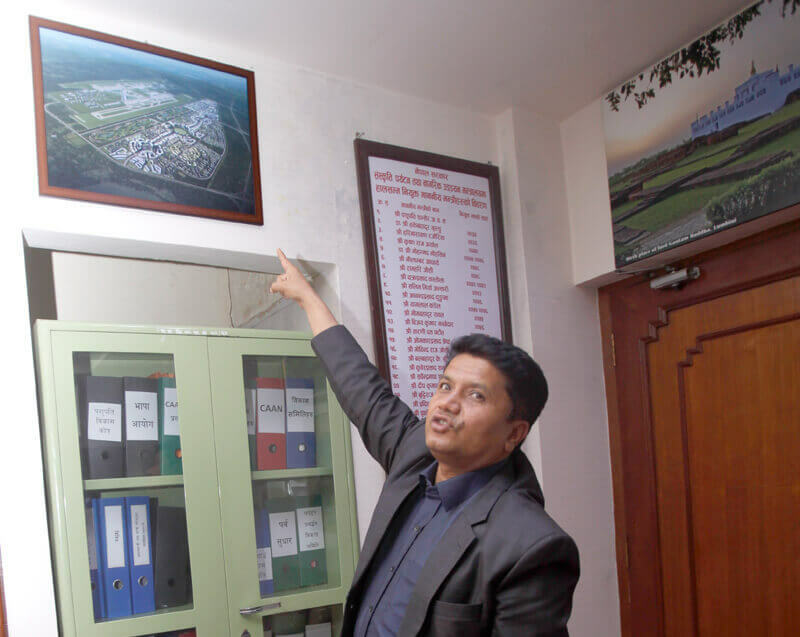 Tourism Minister Rabindra Adhikari has a point: we should call it a ‘boutique airport’. However exotic an airport is, and whatever you call it, airports need to keep passenger convenience top on their list of priorities. 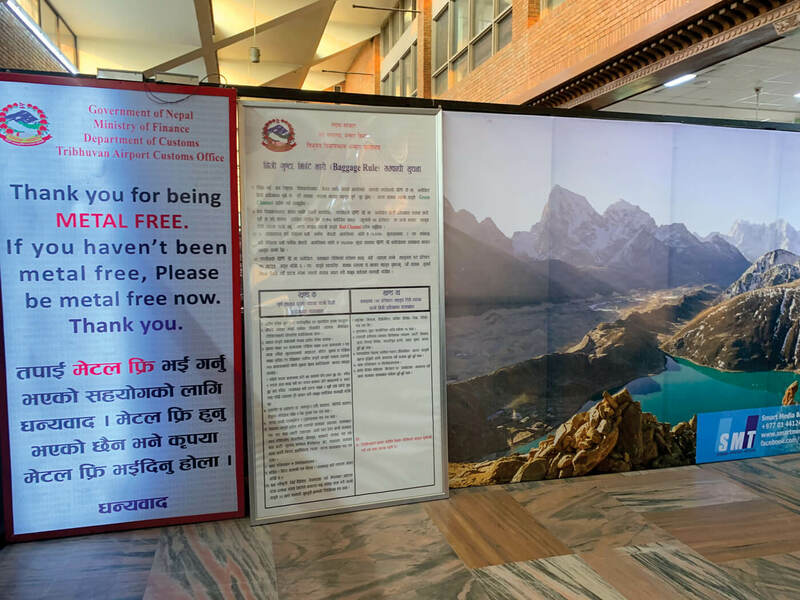 Kathmandu airport is not just inconvenient, it is a torture chamber – and that says a lot about the state of the country. If airports create the first impression of a country, then we are doing a horrible job of it. The experience of going through the Kathmandu airport is not simple, not easy, not smooth, not efficient, not welcoming, not respectful, not friendly, and definitely not fast. Getting to the parking lot and finding a ride out has just gotten much more complicated. Who came up with the idea of the ‘lower level parking’, anyway? A tourist broke an ankle two weeks ago while negotiating the steep path to the new parking lot off the Ring Road. And the horrendous queue at the ‘Metal Free’ x-ray after arrival immigration is an absurdity that deserves a whole new column. Systems and systems thinking can be taught, and there are exams for it. Kathmandu Airport does not have a system. In fact, there are at last count 19 different government agencies represented here from customs to immigration, civil aviation to duty free, and no coordinating body. Nepal’s rent-seeking rulers like to keep everything ad hoc so that they can use their power, access, network and influence to better serve their own personal interest. Systems would mean you would have to get in line like everyone else. No one in power would like that to happen. Kathmandu Airport is also unique because the people who ‘work’ here and manage the various services report to the aforementioned 19 bosses. There is no one person given the requisite authority to manage the airport and hence, very conveniently, no one can be held responsible. We love the term ‘accountable’ in our new republic, but no one can be held accountable for our collective and individual bad experience at the airport. This makes it easy to blame someone else. 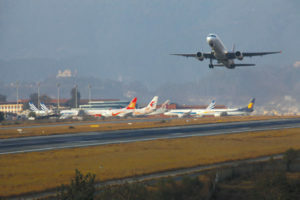 There is little coordination between the Customs Department and the Civil Aviation Authority that manages the airport. Most of Nepal’s infrastructure, including the Kathmandu airport, were built at a time when the volume of people using them was much less. It is the same with power generation or water supply, roads, hospitals, offices, they are all too small to handle the exponential increase in people seeking services. That is where efficiency comes in, the idea of doing more with less has to be central to management in our economy. In a multi-party democracy, competition should be the key that drives political decision making and choosing the best people to do the job. In Nepal, we really have to wonder if there is any competition. Everything seems to be about syndicating, cartelling, and ‘setting’, so that the same people benefit no matter who wins the elections. The young no longer believe that this situation is going to change anytime soon, and hence are voting with their feet – as can be seen at the airport with 2,000 students and workers leaving the country every day. They are looking for opportunities around the world where their skills and knowledge will be valued and rewarded. There are good, competent people here, but they would not fill the criteria the rulers look for. It is clear that improving the airport for the passenger is never the agenda. 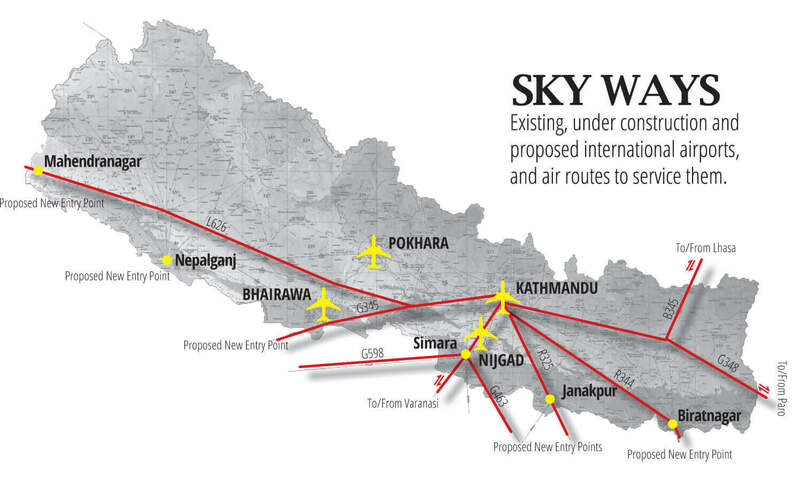 Extracting resources, extorting hapless travelers and making it as inconvenient as possible is at the centre of political decision making in Nepal today.